The Ford Crown Victoria Lives On! Good news, citizen! Remember how we all were sad with the news that the trusty work horse that is the Ford Crown Victoria was ceasing production? Worry no more, as Detroit has a new plan to keep their cruisers-a-cruisin’. 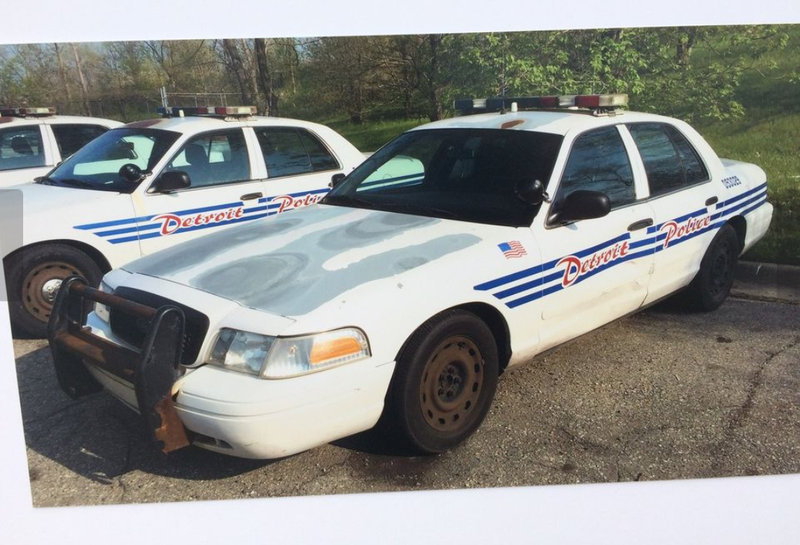 The Detroit Police Department is rejuvenating their fleet of Crown Victoria police cruisers and refitting them for a focus on neighborhood patrols. Any old Vics deemed mechanically sound are stripped of paint and the bodywork is given a cosmetic touch-up before being sent out to rural police officers. The ten year old Interceptors are taken to the homes of community officers to try to increase public awareness and provide an atmosphere of protection and safety, rather than scrapping the cars for waste or selling them off to some of you lucky Jalops. Metrotech Automotive Group, a local business, is donating the upgrades to the force, covering the cost of repairs on each car and doing the work, which averages to around $1,500 to $2,000 per. According to MichiganLive, Detroit has added 167 new emergency vehicles to the roads since 2013, and looks to add 40 refurbished Panther platforms to expand their take-home neighborhood program presence. The goal from this re-investment is to try and get as much life out the cars as possible, as they were extended beyond the expected lifetime, pushing maintenance fees beyond the typical average of other departments. Ridding of the Fords after the desperate extension of their usability from the last few years would seem wasteful, so they’re looking to keep them on the road as long as possible. “I’ve been flagged down about 10 times in the last three months from people just to say, ‘I noticed your car has neighborhood police officer on it,’” he said. “That’s new to Detroit ... so I get flagged down and I think it’s a real problem and it’s just people to say, hey, that really makes me feel good. I hope that is true, as it makes my heart swell thinking that there is a place in this country where the police are still viewed as a positive presence.